This entry was posted in BI Projects, MVP Community, PowerShell, SolidQ, SQL Server Pro Magazine, SQL Syndication, SQLServerPedia, SSRS Administration. Bookmark the permalink. 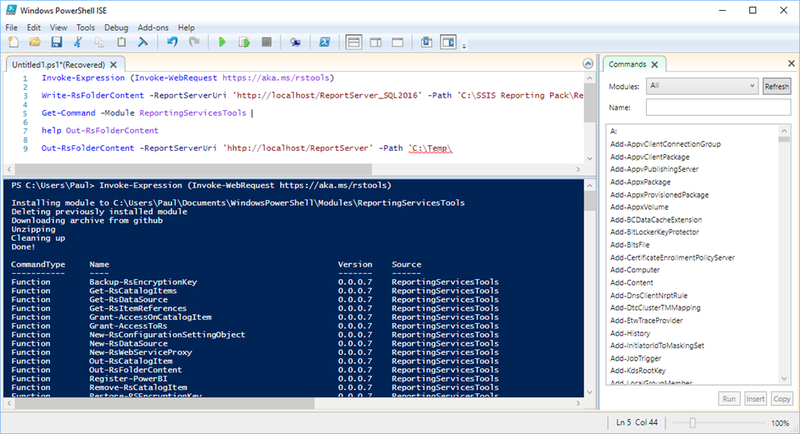 Will this allow you to move reports from a 2008 SSRS database to a 2016 SSRS installation? 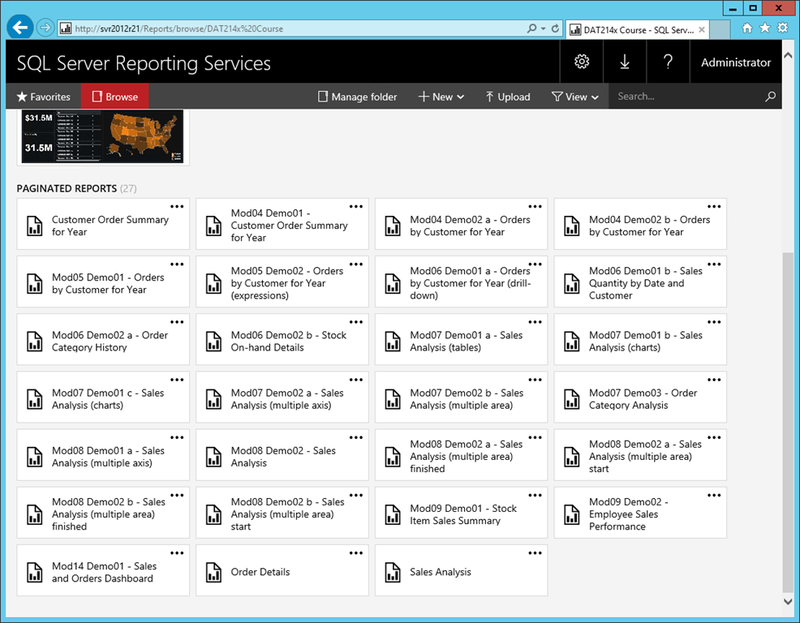 Thanks for posting this article, it’s very easy to follow up and It helps me adding an extra level of automation to our ssrs deployments, which is great. I’m encountering an issue handling Mobile Reports, more specifically, they don’t seem to be copied to the destination folder, and if I manually download the mobile Report into the folder used for the example, and then run the “write-RsFolderContent” command, the Mobile Report does not get uploaded into the new destination folder. Any idea if this is scoped already? I’m guessing these only work with 2016? The Powershell functions use a version of the SOAP API introduced with SQL Server 2008 R2 so they should work at least that far back.